We’re delighted to announce that HTC VIVE Arts has received a MuseWeb Conference GLAMi Award for ‘A Journey Inside Paintings and Calligraphy – VR Art Exhibition’. Created in partnership with the National Palace Museum in Taiwan, the exhibit received an honorable mention in the ‘Exhibition Media or Experience: Immersive’ category. 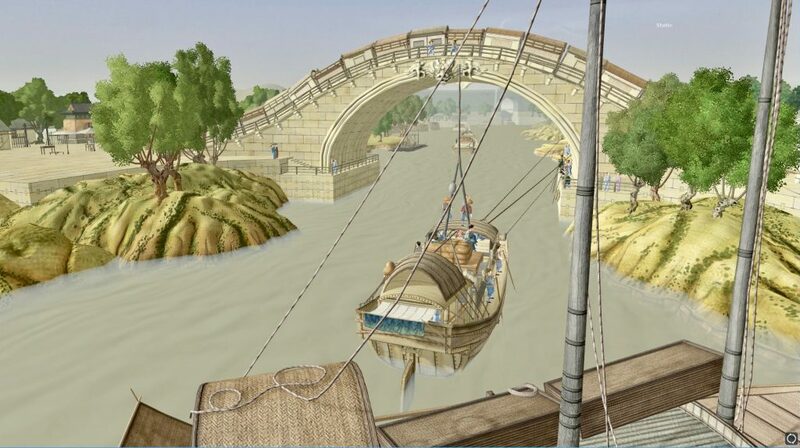 The show included ‘Up the River During Qingming VR,’ – a virtual reality experience that attracted international audiences, bringing to life a famous genre painting and revealing new detail. The project reflects HTC VIVE Arts’ mission to support contemporary museums as they seek to engage and inspire a new, digital generation, combining culture and education with entertainment and innovation. October 16, 2018 – Today HTC VIVE announced the next step in its partnership with Taiwan’s National Palace Museum, one of the major institutions dedicated to preserving human historical artifacts — in bringing the world-renowned masterpiece – Up the River During Qingming to life in virtual reality. Starting October 15, A Journey Inside Paintings and Calligraphy: VR Art Exhibition, will showcase the innovative capabilities of the VIVE Pro headset in not only delivering a unique viewing experience but to actually traverse the famed painting, offering unprecedented recreation and interaction. 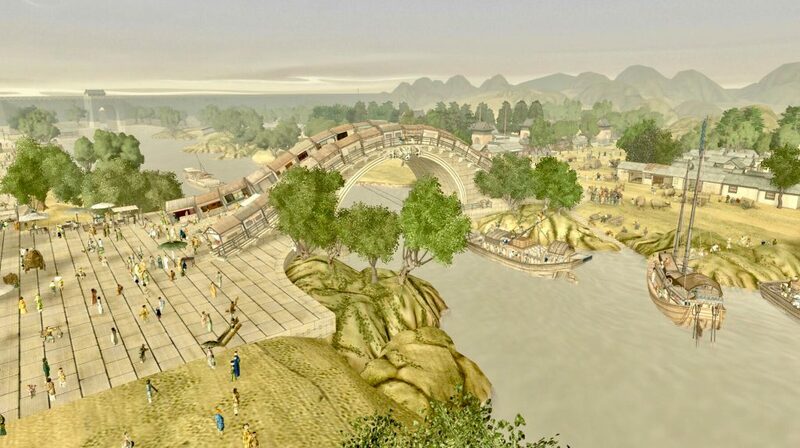 Up the River During Qingming VR, marking another major step for the VIVE Arts program, continues its mission to transform how art is experienced. VIVE Arts titles are now deployed at the most prestigious institutions across the world, such as the Royal College of Art, Tate Modern, the Muséum national d’histoire naturelle, the Newseum, the State Hermitage Museum, and the National Palace Museum. 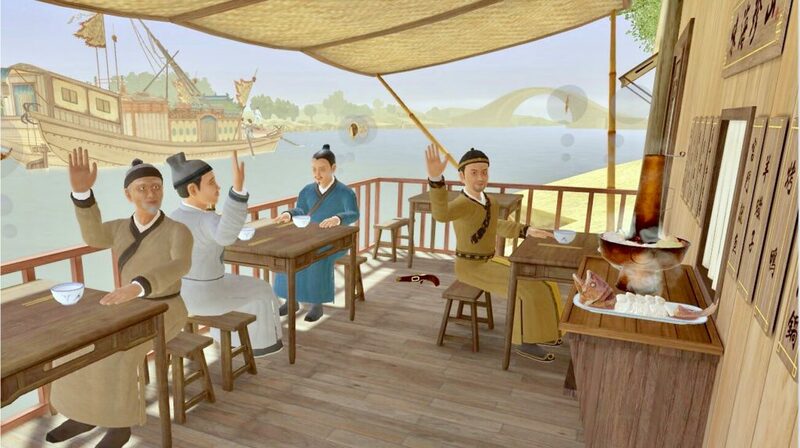 With Up the River During Qingming VR, VIVE Arts is again marrying cultural richness and state-of-the-art immersion/interaction. This partnership between Taiwan’s National Palace Museum and HTC Vive was established in 2015, when the two institutions had co-developed VR artwork projects including “The Spirit of Autobiography” (based on Tang dynasty Huaisu’s cursive script – Autobiography), and “Roaming through Fantasy Land” (based on Yuan dynasty painter Zhao Mengfu’s “Autumn Colors on the Qiao & Hua Mountains”). Seeking to redefine exhibition standards with the help of modern VR technology, the partnership also brings VR content to rural and remote townships. Running October 15 to December 15, 2018, the A Journey Inside Paintings and Calligraphy – VR ART exhibition, alongside the current exhibit Another Look at National Treasures: Select Masterpieces of Painting and Calligraphy in the Museum Collection, will be located at the Northern Branch Exhibition Area 210. Scroll through the high-res painting at your own pace, zoom out for an overall view of each scene, and get close to appreciate every detail. Many “Scenic Spots” are located throughout the painting, and the Emperor Qianlong himself will provide related knowledge and anecdotes. Viewers walk into the lively worlds portrayed in the artwork, searching for characters, playing mini-games throughout the ancient world. The iconic “Rainbow Bridge” scene consists of the hustle and bustle of a crowded market and passing cargo boats. Interact with the fascinating people and shops in a game, and take on a mission to assist a stranded boat to gain a better understanding of river transportation. Portraying the ancient story from the “Romance of Three Kingdoms”, traditional Chinese opera is a favorite for all market goers as they bustle about to get a better view. Help dress up the actors for the show to commence. The Golden Orchid Restaurant is situated at a prime location in front of the city entrance, offering a spectacular view of the river. 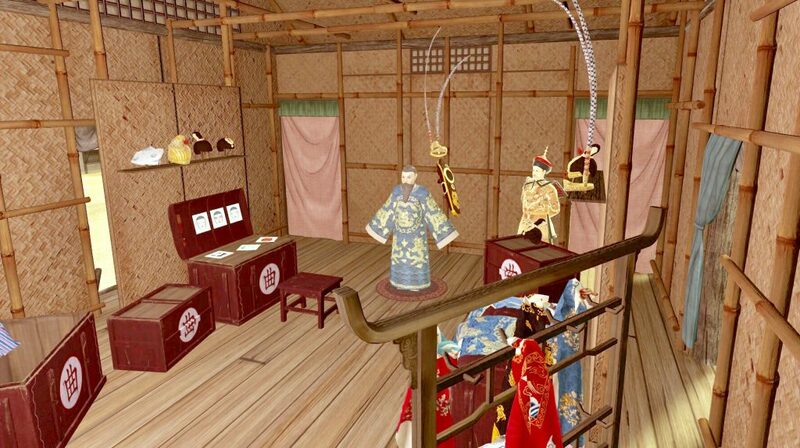 Here, you can immerse in the house duties and learn about the origins of iconic Chinese dishes. The incredible troves of historical artifacts in NPM’s collection are not only the important remains of Chinese civilization but are also of immeasurable value to mankind at large. NPM shoulders the great mission of preserving and educating people about traditional culture and hopes to continue to build upon historical foundations.